Why do many couples choose to “re-tie the knot”? History shows that this is not an uncommon practice. Ceremonies to renew wedding vows are apparent in many cultures throughout the world and are performed for different reasons. 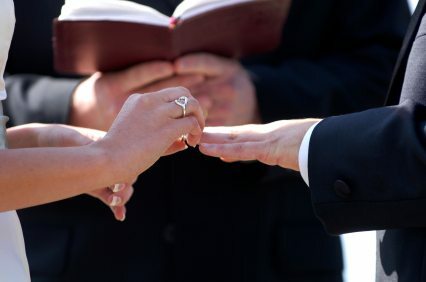 Italy is one of the first countries to have married couples who opt to renew their vows primarily for religious purposes. In the US, the desire to have one’s ideal wedding has become a popular motive for having a renewal of vows. It could be that the couple had to elope because of circumstances, or else had to make do with a budget wedding with none of the elegant trimmings plenty of brides dream of. Re-tying the knot has become deeply ingrained in Western culture as far back as the 1950s, and has spawned its own unique customs, sentiments, and practices. These include the kind of clothes worn, the rituals, guests, the chosen venue, the vows exchanged, and yes, even wedding jewelry. Newly minted brides almost always follow the “something old, something new, something borrowed, something blue” tradition in selecting wedding accessories. For brides renewing their vows, however, a choice between something old and something new in jewelry generally suffices. While many couples opt to have their original wedding bands reworked, melted and re-fashioned, or generally updated to symbolize the rekindling of their commitment, many forward-thinking couples choose to go for brand new wedding rings altogether. What are their reasons for doing so? For starters, it is a good symbolic act of “starting over” especially if the couple has gone through difficult times together in their marriage, or have been physically separated for some time. As well, having new wedding bands made to accommodate anniversaries and other special dates (including birthdays of the couple’s children, if any) can add more meaning and symbolism by way of engraving and embedded birthstones. Those celebrating wedding milestones: diamond, silver, or golden wedding anniversaries, for instance, may want real precious stones and metals symbolizing them to replace their original bands. While there is no hard and fast rule when it comes to choosing jewelry appropriate for wedding renewal ceremonies, many still choose to get new rings that symbolize what they have gone through as a married couple. First-time brides might incorporate diamond-studded tiaras and neck pieces when they walk down the aisle to match their wedding-cake dresses, but those who want to re-commit to their partners may want to spend more on new wedding bands instead. After all, being married for some time has surely ingrained in the couple a renewed sense of commitment to each other. Whether large-scale or sedate and simple, celebrating a renewal of vows should never lose its meaning amidst the glitz and glitter of wedding trappings. Couples who exchanged “I do’s” to each other the first time they got married must always remember that re-tying the knot is equal to saying “I always will”.